I like to think I’m pretty careful when it comes to buying stuff online, but I can also get a little impulsive. Because of that, I found myself in a small predicament all because I saw something shiny on Instagram. 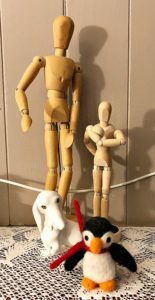 If you’ve ever taken a drawing class, there’s a good chance you had to sketch one of those nondescript wooden mannekins that sort of, but not really, look like people. It’s tough to get them into any sort of natural position, but for a basic subject to sketch, they’re pretty good. A happy little family of drawing references! That being said, I’ve been looking around for quite some time for an alternative – something that is more natural that I can look at in real life. Picture references are fine, but it’s different than sketching from life. Odd little knick-knacks around the house are great for a challenge, but at the end of the day I really like to sketch from the human figure. 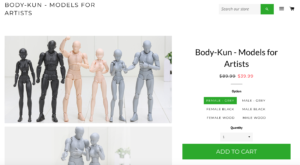 So when I saw an Instagram ad for Body-Kun figures, it looked like the most perfect solution ever! The site they were (ARE) being sold from is sketchy (the first red flag), but I ignored that for this perfect thing that was the answer to all my sketching reference dreams. The projected delivery time was 3-4 weeks due to high order volume. That was red flag number two. I received tracking information about a week after the order was placed, but it didn’t budge after that. During that time, I did the research I should have done before placing the order. I found instances referencing that exact site (and others) where poorly made knock-offs were being sold. Once the order hit the four-week mark, I contacted the company to see what was up. They said the item was backordered and I would have it by the following week. I immediately checked my tracking info again and it was gone. Big, fat, red flag number three. I let a few days go by and decided I wanted nothing to do with any of it, so I contacted them again and requested a refund. Of course, they said the order was on the way and therefore couldn’t cancel. So I turned to PayPal, filed a dispute that I didn’t received the order, and the company replied that it was on the way. I replied that I would reject the package, at which point they would have to give me a refund, right? Sure enough, the following Friday when I was out of town, the package showed up. When did the tracking update? After the package showed up. So now what? Well, I escalated the claim with PayPal to “item not as described” or whatever they call it. Then, for the sake of documentation, I did an unboxing video! I mean, I HAD to open them at that point to see if they were really as bad as I thought they would be. Spoiler alert: they were. In fact, I’d say they exceeded expectations on that front. 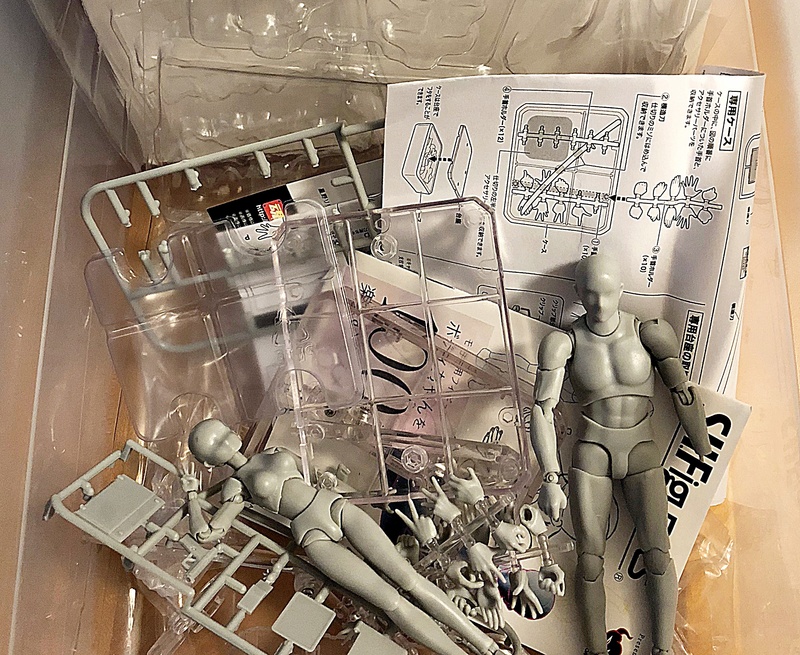 The figures are now sitting in a plastic bin awaiting their fate. This pretty much captures how I feel about these. I really wanted to like them. Depending on what PayPal does or doesn’t do, I might get a refund, I might have to send them back, or nothing happens at all. I’ll definitely keep you updated!